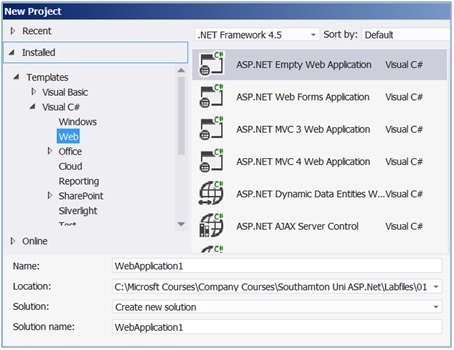 Add an HTML page with some basic structure tags in Visual Studio. Every page needs these structure tags. The page has a head and a body section. 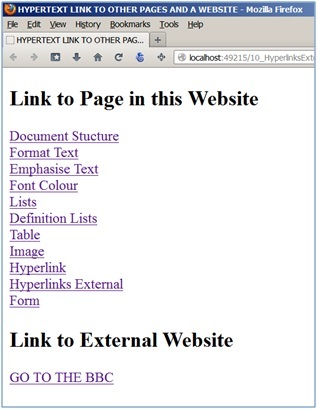 Add a new HTML page called Document.html to the project. Do this by right-clicking the project name in Solution Explorer and using the context menu. Select Add>New Item … from the context menu. Set this HTML page as the start page, by again using the context menu. 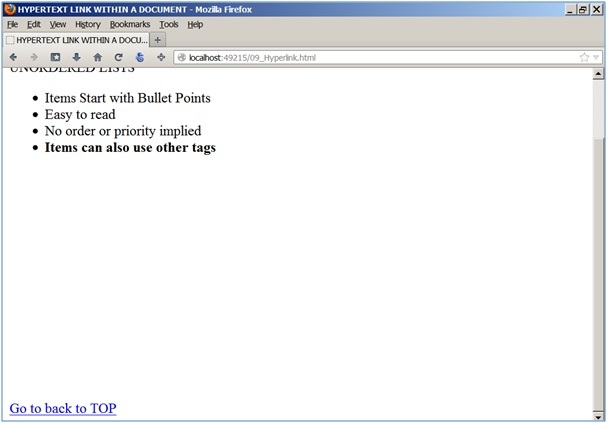 Replace the content of Document.html with the HTML tags and text below. This is normal text without any formatting. So WHAT YOU SEE IS NOT WHAT YOU GET. Format text using headings, bold and italic. 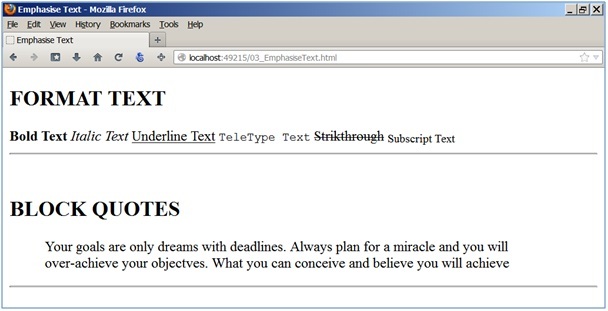 HTML has tags to lay text out on a page in lots of ways. Without these tags your sentences will be continuous lines of unbroken text. Replace the body content of the page with the HTML tags and text below. Also it is separated with paragraph tags. A reminder: without these tags your sentences will be continuous lines of text. Text can be emphasised in various ways. This adds meaning and structure to documents. Change the font colour and size. Also change the background colour. Create bulleted and numbered lists. 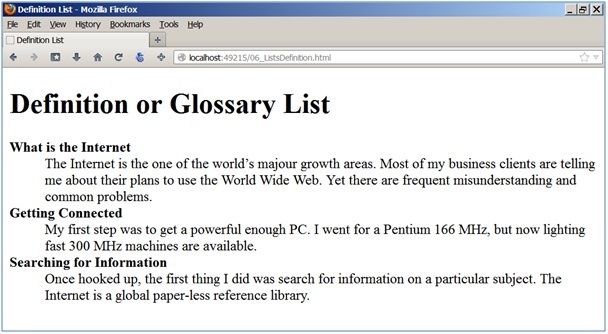 Lists make text easy to read. 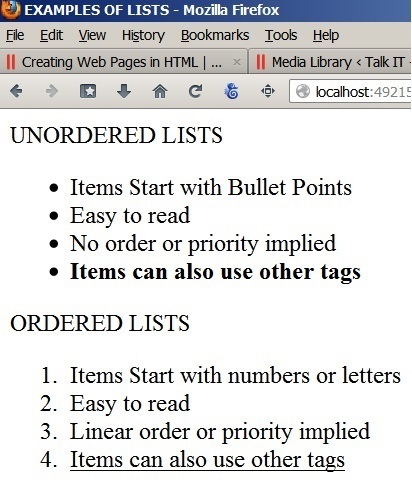 Create list with item headings. This is like a dictionary, where every item has a definition. <dd>The Internet is the one of the world’s majour growth areas. <dd>My first step was to get a powerful enough PC. <dd>Once hooked up, the first thing I did was search for information on a particular subject. Create a table with rows and columns. The text is presented in this familiar tabular structure. The table and its contents can be formatted in a range of ways. 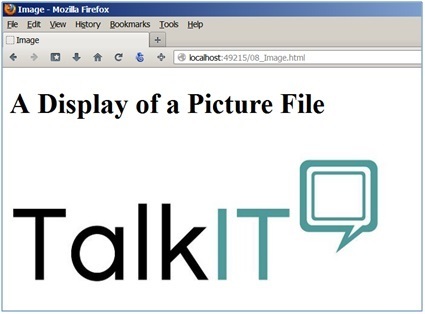 Show an image from a picture file. The height and width of the image is set. Add link to go back to the top of the page. When the link is clicked another location in the same page is shown. Add links to go to other pages in this website. Plus a link to another website. Create a form to input user data. 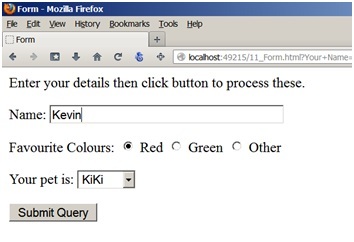 When the button is clicked the form is submitted and the data can be processed.